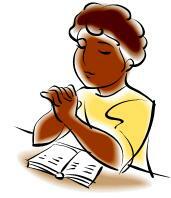 and a constant prayerful attitude and readiness to intercede at any other requested times. We are praying that God will give us a heart and desire to study His word and to tithe consistently. We are asking the church to pray and stand in agreement on Joshua 1:8 and Malachi 3:8-10. 8 Will a man rob God?Yet ye have robbed me. But ye say,Wherein have we robbed thee? In tithes and offerings.